The hero's quest drenched in sun, blood, and gold dust. 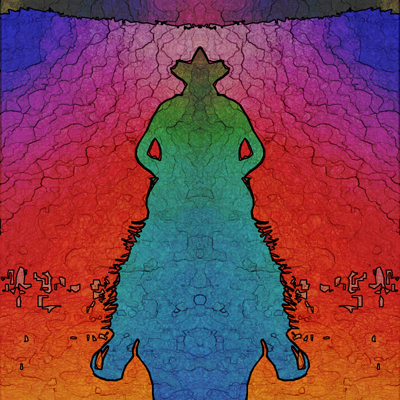 Picking up where Man With A Gun left off, Entheogenic Cowboy is an ambient electronic journey through the beautiful and perilous terrain of the mythological wild west. This is a landscape that never quite was and never quite will be, a dream of the west played out in film and literature and the collective subconscious of generations. Sometimes flowering and climbing sweetly, sometimes biting, electric guitar mingles with ethereal loops and a driving aesthetic to create a chimera of musical arrangements spanning the genres of ambient dub, glitch, IDM, and minimalism. 10 filmic tracks sing the adventures of the Entheogenic Cowboy, an entity caught between worlds and lost beyond time.